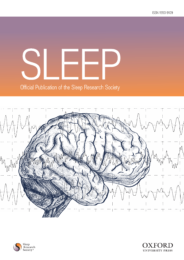 SLEEP® is a peer-reviewed, international journal of sleep and circadian science, and is the official publication of the Sleep Research Society (SRS). The mission of SLEEP® is to publish innovative, high-impact research findings in sleep and circadian science across the basic, translational, and clinical research spectrum. SLEEP® seeks to advance our understanding of sleep and circadian rhythms, as well as their contributions to health and disease. Are you spending more and more time consuming social media through your computer, mobile phone, video games, and social media apps? If so, you’re not alone. Data from Pew Research Center has shown that use of social media among adults has grown from 5% in 2005 to 69% in 2018, with almost 90% of 18–29-years-olds indicating use. Using social media of various forms may have some benefits; in addition to entertainment value, social media can also expose us to new ideas and current events, promote community participation, facilitate connection with long-distance friends and family, and enhance access to social networks. However, social media use can have negative health-related consequences as well. Using social media has been associated with important sleep-related outcomes such as a shorter number of hours slept at night and poorer sleep quality. This is noteworthy because the National Sleep Foundation reports that almost half of Americans don’t get the recommended 7–9 hours of sleep on week nights. Because social media commonly involves interactive screen time, it may be more detrimental to sleep than more passive types of screen media, such as watching television. Among other mechanisms, social media use may also impact sleep directly by displacing sleep and indirectly by promoting emotional, cognitive, and/or physiological arousal. Therefore, our research group has focused on the impact of social media use in particular, rather than screen time more generally, given its relevance to sleep health. the light from screen-based devices can delay the onset of sleep. Therefore, we recently undertook a study to explore whether social media use in the 30 minutes just before bed was linked with poorer sleep, over and above social media use across the entire day. Who was involved in the study? We studied 1,763 young adults between the ages of 19–32 who completed a web-based survey. They were recruited by randomly dialing phone numbers (cell phones and land lines) and by sampling a selection of addresses. The sample assessed in the study represents the young adult population across the United States. How did we measure social media use and sleep disturbance? To assess social media use over the entire day, we asked participants to report the typical total number of minutes per day they used social media for personal use. We assessed sleep disturbance using items on a web-based survey that assessed problems with sleep, difficulty falling asleep, whether sleep was refreshing, and sleep quality over the past seven days. Compared to participants who rarely check social media before bed, those who most often check before bed were about 1.5 times more likely to have more disturbed sleep. This was still true even when we considered how much participants used social media across the entire day. What doesn’t this study tell us? Because we assessed social media use and sleep disturbance at the same time, this study can’t tell us whether social media use leads to disturbed sleep, or whether disturbed sleep contributes to social media use. Future studies will need to examine this over time to answer this question. If future work is able to determine that social media in the 30 minutes before bed use leads to disturbed sleep (rather than the other direction), this would suggest that young adults who want to improve their sleep should focus on reducing social media use at this particular time of day. Reducing social media use in the 30 minutes before bed may be more feasible and effective than reducing social media use across the entire day. Featured image credit: Vietnam woman on smartphone by Tony Lam Hoang. CC0 Public Domain via Unsplash. Jessica C. Levenson, Ph.D. is a Clinical Psychologist and Assistant Professor of Psychiatry at the University of Pittsburgh School of Medicine. She is also affiliated with the Division of Adolescent and Young Adult Health within the Department of Pediatrics, and she conducts clinical work within the Center for Adolescent and Young Adult Health. Dr. Levenson has recently been awarded a K23 award by the National Institute of Child Health and Human Development, as well as a Focused Projects Award from the American Sleep Medicine Foundation, both of which focus on the development and testing of a sleep-focused intervention program for adolescents. Her clinical interest focus on mood disorders, interpersonal relationships, and sleep. Jaime E. Sidani, PhD, MPH, CHES is the Assistant Director of the Center for Research on Media, Technology, and Health at the University of Pittsburgh School of Medicine. Dr. Sidani’s research is focused on the association between social media and mental health, particularly among young adults. Both Jessica and Jaime are co-authors of "Social Media Use Before Bed and Sleep Disturbance Among Young Adults in the United States: A Nationally Representative Study," published in SLEEP.